Chef Chris Cheung oversees a menu of American fare with an Asian accent at Cherrywood Kitchen, a new bistro on Spring and Hudson Streets in SoHo. Cherrywood Kitchen, 300 Spring St., New York, NY 10012, 646-559-2328. Wild is a new addition to the pizza scene in the West Village, specializing in gluten-free and vegan pies. Expect vegetable-loaded pizzas with a crisp crust. Wild, 535 Hudson St., New York, NY 10014, 212-929-2920. Wylie Dufresne is finally branching out from his experimental and successful wd-50. Enter Alder, Dufresne's second restaurant and his first in the East Village. The restaurant is meant to complement wd-50 with more casual (yet still avant-garde) dishes alongside cocktails, beer and wine. Alder, 157 Second Ave., New York, NY 10003, 212-539-1900. The flagship location of Nathan's Famous at Coney Island is scheduled to re-open Memorial Day weekend. The iconic hot dog stand has been closed due to damage from Hurricane Sandy. Nathan's Famous, 1310 Surf Ave., Brooklyn, NY 11224, 718-946-2202. Hotelier Robert "Toshi" Chan has announced that Toshi's Penthouse Bar & Rooftop will open atop The Flatiron Hotel in June 2013. This 3,500-square-foot venue on the 12th floor will feature floor-to-ceiling windows facing the Manhattan skyline, as well as an open terrace. Toshi's Penthouse Bar & Rooftop will be open Mon.-Wed. from 5 p.m.-1 a.m. and Thurs.-Sat. from 5 p.m.-2 a.m. Toshi's Living Room & Penthouse, The Flatiron Hotel, 9 W. 26th St., New York, NY 10010, 212-839-8000. Chef Jonathan Benno of Lincoln oversees the menu at the new Stella 34 Trattoria, located inside Macy's department store. The restaurant serves authentic Neapolitan pizzas and classic pasta selections. Enjoy the view from the sixth floor while you tuck into a couple dishes. Stella 34 Trattoria, 151 W. 34th St., New York, NY 10001, 212-967-9251. After closing due to Hurricane Sandy damage, Jean-Georges Vongerichten's Perry St., where his son Cedric is the toque, has reopened. The menu is the same but the kitchen has updated its equipment. Perry St., 176 Perry St., New York, NY 10014, 212-352-1900. The nominees for the 2013 James Beard Foundation Awards have been announced. Among the New York representatives are David Chang (Momofuku Ssam Bar) for Outstanding Chef, Maguy Le Coze (Le Bernardin) for Outstanding Restaurateur, and Empellon Cocina for Best New Restaurant. The annual Awards Ceremony and Gala Reception will take place on May 3 & 6, 2013, at Lincoln Center's Avery Fisher Hall in New York. Find reviews for the restaurants nominated on GAYOT's James Beard Foundation Awards coverage. Brooklyn Fare is going to expand with a location in Manhattan. While the original offers an eighteen-seat chef's table experience, this branch will more than triple that capacity and feature tasting menus of four to six courses. Brooklyn Fare, 200 Schermerhorn St., Brooklyn, NY 11201, 718-243-0050. Donovan's Pub, the Queens institution that serves what many believe to be the best burger in the city, was in danger of closing. But new owners swept in and saved it. They've made some subtle changes, but Donovan's should remain the same for years to come. Donovan's Pub, 5724 Roosevelt Ave., Woodside, NY 11377, 718-429-9339. Oceana is going carrot-crazy for the entire month of March. The seafood-leaning restaurant is serving a five-course menu for $95 (add $50 for wine pairing) that revolves around everyone's favorite orange vegetable. Dishes include seared foie gras and carrot purée as well as carrot ginger soup. Oceana, 120 W. 49th St., New York, NY 10020, 212-759-5941. It's that time of year once again. From April 29-May 5, the annual Lucky Rice Festival will turn New York City into a culinary showcase for Asian cuisine. There will be several events scattered about the city, including a dumpling party, a cocktail feast, a meal of Chinese-Jamaican delights, and a dim sum Bloody Mary brunch, among many others. For a full schedule, check out www.luckyrice.com. Per Se's executive sous chef, David Breeden, has left his post to head back to The French Laundry where he's replacing chef Timothy Hollingsworth. Breeden first started with Keller at The French Laundry as a chef de partie in 2005, before moving to Per Se in 2007, where he rose to sous chef after two years. Before 2005, Breeden, a native of Tennessee, worked at Charleston Grill, the Woodlands Resort & Inn and McCrady's. 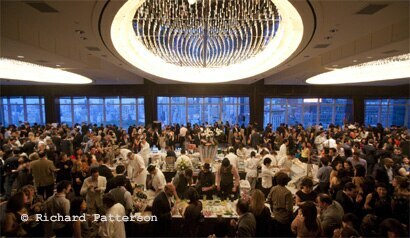 Per Se, Time Warner Center, 10 Columbus Cir., New York, NY 10019, 212-823-9335. After many years serving as the pastry chef of Jean-Georges in New York, Eric Hubert has decided to return to France and now works at the restaurant Market in Paris. 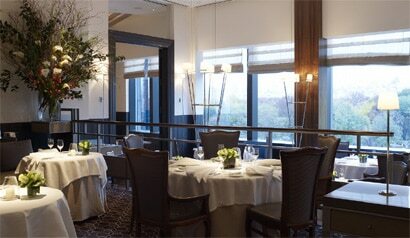 Jean-Georges, Trump International Hotel & Tower New York, 1 Central Park W., New York, NY 10023, 212-299-3900. Richard Sandoval has ended his association with DohYO, the restaurant inside the Yotel New York hotel on W. 42nd Street. The restaurant will remain open serving the same menu for now. DohYO and Terrace at FOUR, 570 Tenth Ave., New York, NY 10036, 646-449-7790. Centro Vinoteca, the seven-year-old Italian restaurant in the West Village, has closed. Centro Vinoteca, 74 Seventh Ave. S., New York, NY 10014, no phone. The longtime and popular West Village sandwich spot, 'ino, has shut down for good. 'ino, 21 Bedford St., New York, NY 10014, no phone.